← Six Ole Miss journalism students and one instructor are headed to Buenos Aires for two weeks of intensive multi-media reporting. 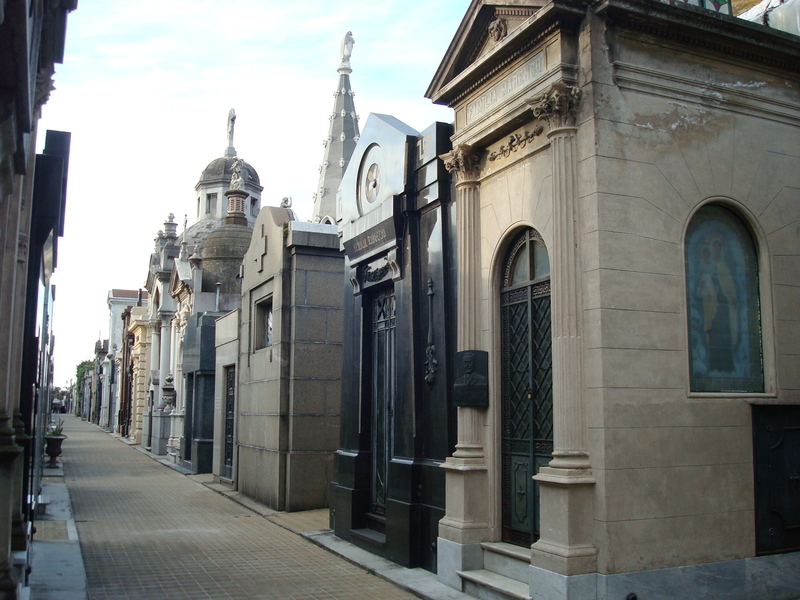 The Cementerio de la Recoleta in Buenos Aires is a city of the well-heeled–even in death. Monuments to Argentina’s movers and shakers, politicians, athletes and even Evita try to out-do each other with marble crypts shrouded in stained glass, statues and silver-laden caskets.